Year 6 Safety Course - Winners! 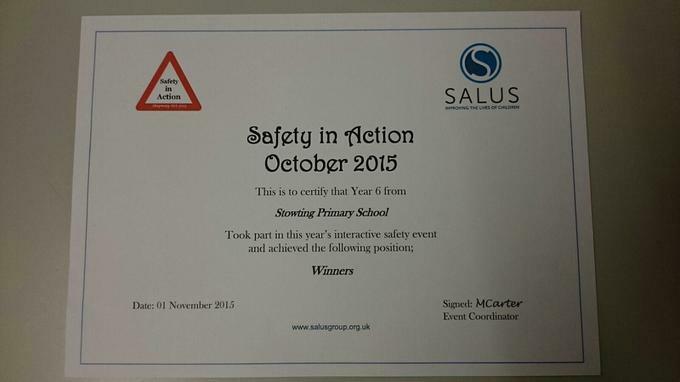 You may remember that our Year 6's attended a Safety in Action course in October. I'm pleased to say that they came first in the event, and today we received a certificate confirming this, along with a cheque for £75!